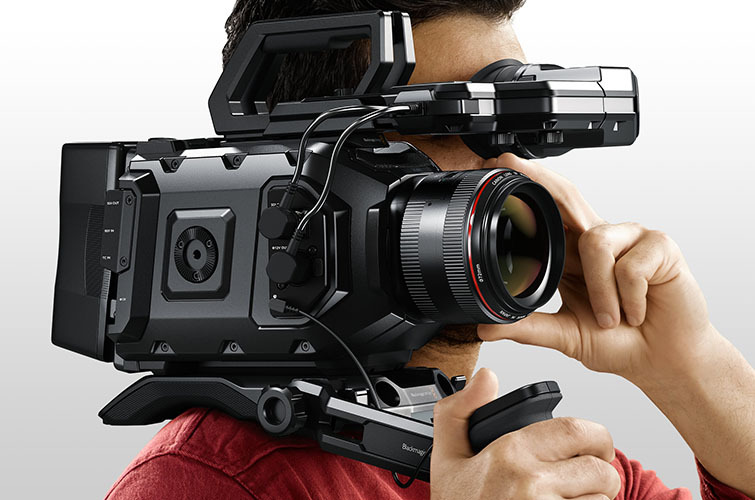 Blackmagic’s URSA Mini offers a lot of camera in a very affordable package. However, it’s important to take into account the limitations of the URSA Mini when comparing it to its big sister. 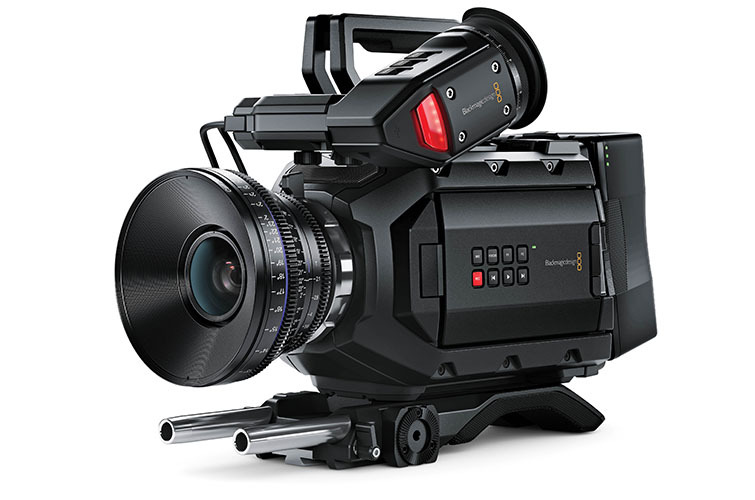 Upon its initial release, the original Blackmagic URSA had a lot of people quite perplexed. For many, the original URSA’s weight was a real issue. It was big and bulky, yet some of its incredible features were (and still are) hard to ignore. All things considered, what else was there really to complain about? For $6K the camera offered functionality that rivaled cameras many times its price, and the image quality was great – at least when shooting at the native ISO of 400. But again, the weight was certainly an issue for many shooters. Many potential URSA customers were filmmakers on a budget, who likely had come up through DSLRs or other small camcorders. Meaning, to make the jump from a 1 – 3 pound camera to a 17 lbs camera was a big deal! Especially when you consider other professional cinema cameras, which only weigh in at 10 lbs or so. When the URSA Mini was announced many potential buyers came out of the woodwork. The camera seemed to offer some of the same incredible features as the original URSA, but in a much smaller package. Although, when taking a closer look at the URSA Mini, it seems not every last feature was included, which results in pros and cons for both cameras. 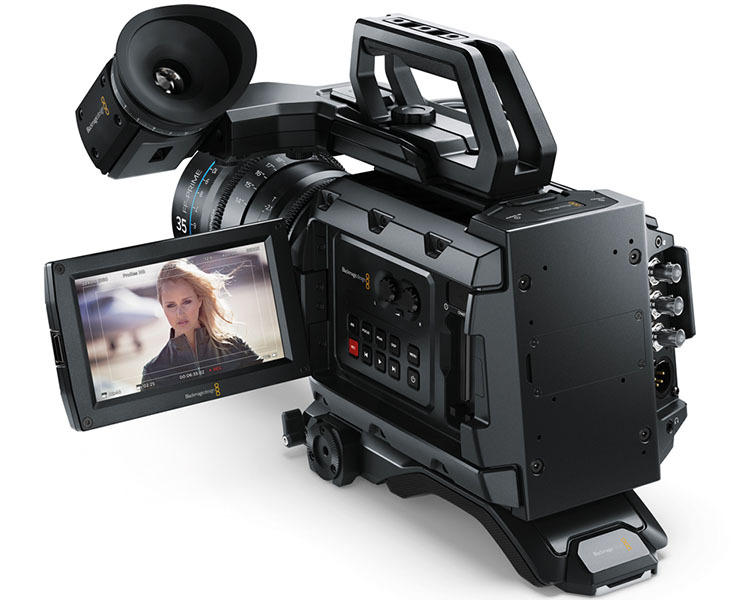 Below is a list of the 5 most important considerations to take into account if you’re debating purchasing or using the Blackmagic URSA vs. the URSA Mini. We’ve already touched on this briefly, but if weight is a big consideration for you, then the URSA Mini may be preferable. Unlike the 17 lb URSA, the Mini version only weights in at 5 lbs, which is a huge difference. For long handheld shots, rigging, gimbals or other stabilizers, the Mini is definitely preferable over the URSA. That said, the weight of the original URSA may not be a problem for you at all, depending on how you like to shoot. For instance, on most of my shoots 90% of the material is shot on a tripod, so a 17 lb camera doesn’t pose a problem. When you pair it with an Easy Rig, the weight becomes even more manageable. 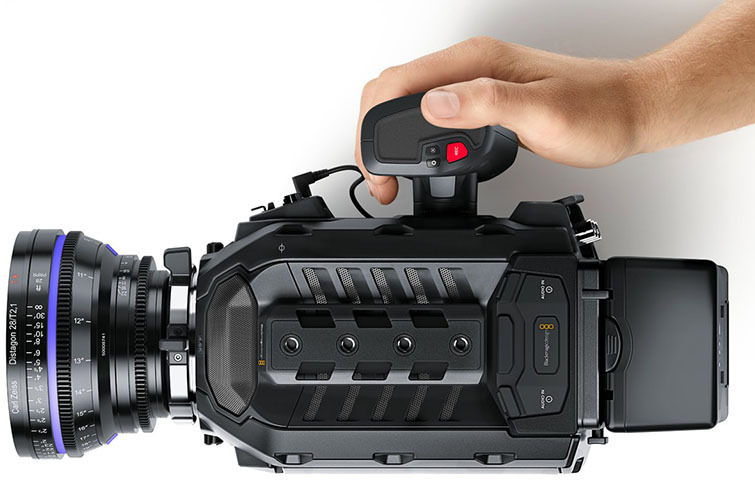 The URSA Mini doesn’t have the ability to upgrade it’s sensor the same way the URSA does. Since the URSA’s release last year, there’ s already been a new sensor announced (the 4.6K version) that’ll be user upgradeable on the original URSA model. This is great news for people like myself that own the URSA, and are looking for more dynamic range and higher sensitivity, but don’t want to have to invest in an entirely new camera. Unfortunately, the URSA Mini does not have the ability to upgrade, so whatever you purchase is what you’re going to be working with until you sell it or get a new camera. 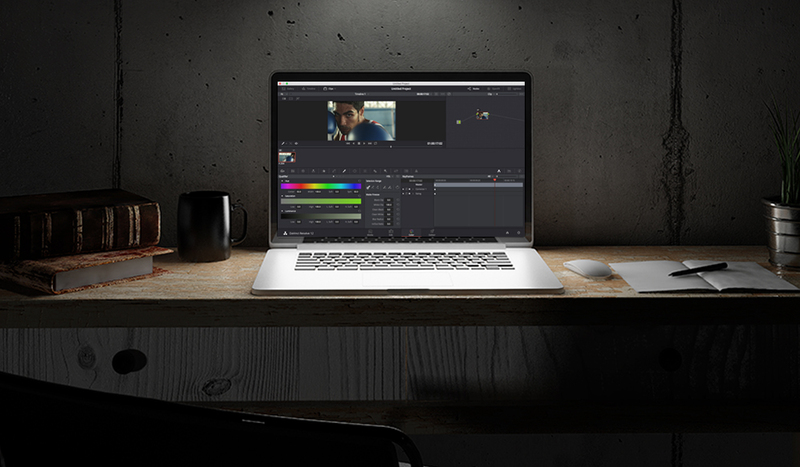 The original URSA has 3 monitors – all of which are really useful. It has a 10” fold out monitor on the operator side of the camera, as well as a 5” monitor on the body itself, and on the AC side of the camera there is another 5” monitor. This makes shooting with a camera crew simple and efficient since all of your monitoring is built right in. On the other had, the URSA Mini has a single 5” monitor on the operator side of the camera, which truthfully is more than sufficient for what the camera is designed for. That said, if you’re the type of shooter who is always hooking up 2 or 3 monitors for your crew to use, the URSA has everything you need built right in. Much like the Canon C300, the URSA Mini has a really great side handle that can be useful for handheld shooting, or even removed and relocated to use with a shoulder mount kit. Naturally, the full sized URSA doesn’t have any side handle since the camera is far too large to make use of one, but it’s undeniably a nice touch that makes the URSA Mini really enjoyable to shoot with as a single operator. The handle has a record button, and focus/iris buttons built right in which make it really useful. Both the URSA and the URSA Mini have the ability to toggle between a global and rolling shutter, which effectively unlock higher frame rate options. Although, the Mini is more limited than the URSA in some regards. For instance, the URSA can shoot at up to 120fps in 4K RAW, while the Mini will max out at 60fps in 4K RAW. In global shutter mode, the URSA maxes out at 60fps while the Mini can do only 30fps. In my opinion, this isn’t a deal breaker for the URSA Mini, as 60fps in 4K RAW is more than enough for most slow-motion work. Though, it’s still nice to have the ability to go up to 120fps on the URSA if you’re in a pinch. 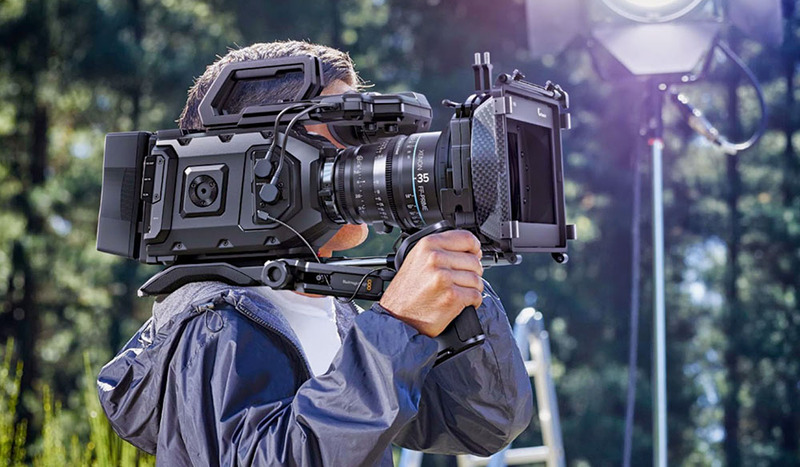 Here’s an interview from NAB 2015 in which No Film School’s Joe Marine speaks with Blackmagic’s Grant Petty about some of the differences between the URSA and URSA Mini. I’m a big fan of both of cameras, and it’s clear that neither one is better than the other. They are simply intended for different types of shooters. 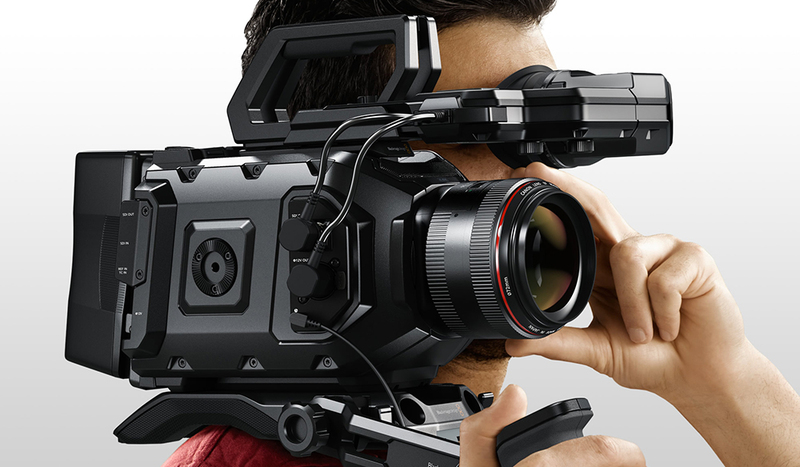 The URSA is ideal for larger sets with more substantial crews, heavier duty support gear, and more set-up time. On the other hand, the URSA Mini is perfect for single operator shoots that require a quicker turnaround, without sacrificing quality. Deciding between these two cameras should ultimately come down to what kind of shooter you are and what type of set you like to run. 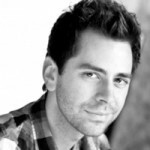 At the end of the day, both options are extremely capable of delivering fantastic images. 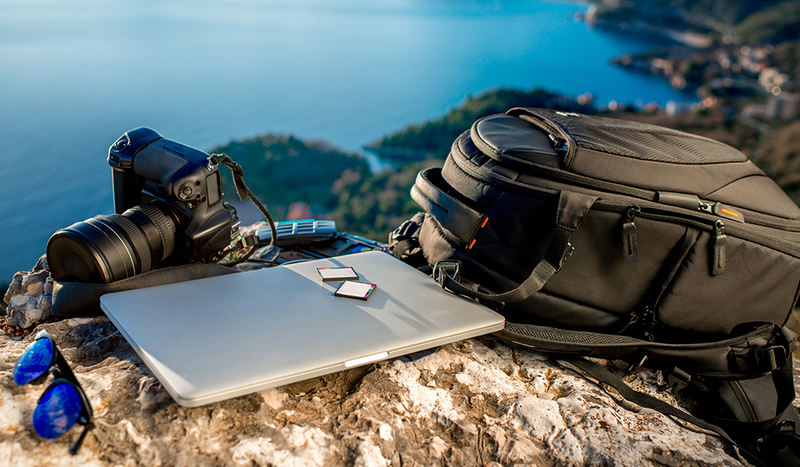 When will NAB 2015 Gear Hit the Market? Have you shot on either of the above Blackmagic cameras? Share your experiences in the comments below!